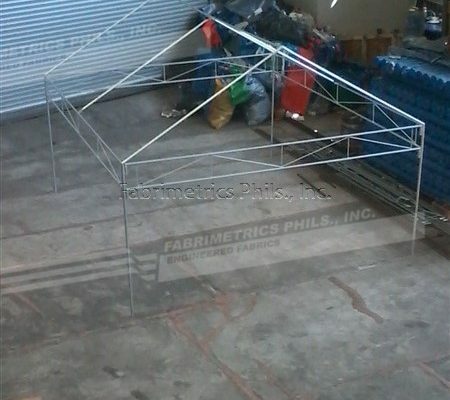 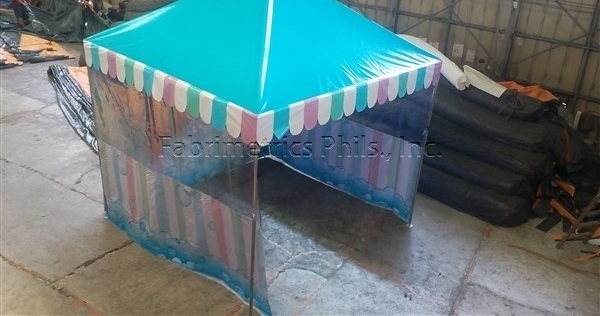 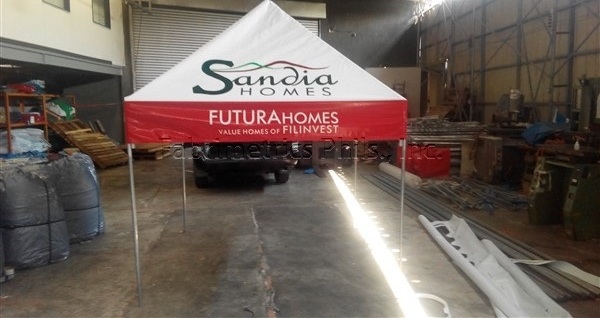 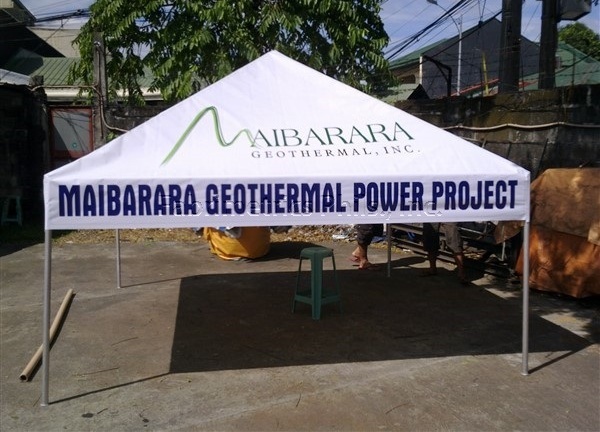 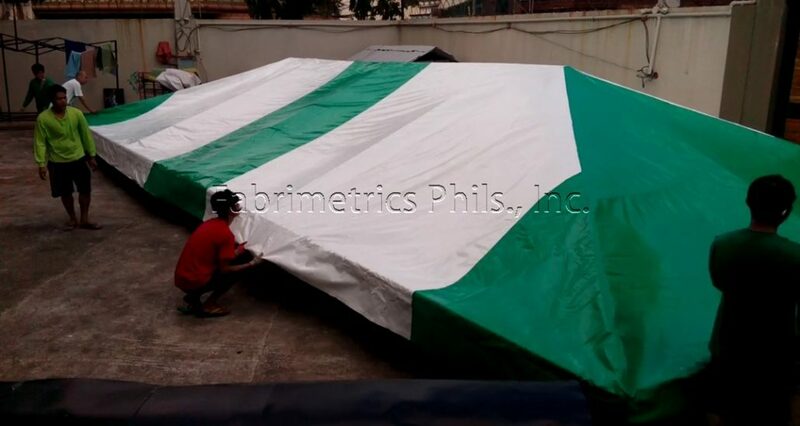 Collapsible Tents – Fabrimetrics Philippines Inc.
Collapsible Tents are heavy duty tents that are made to be transportable. 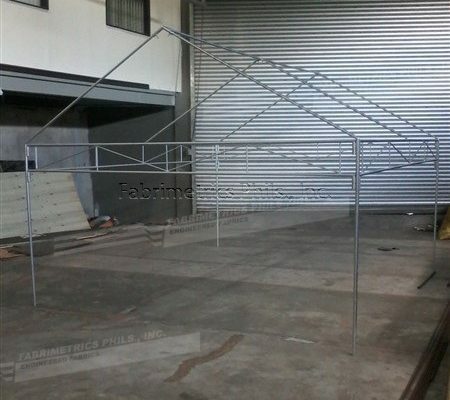 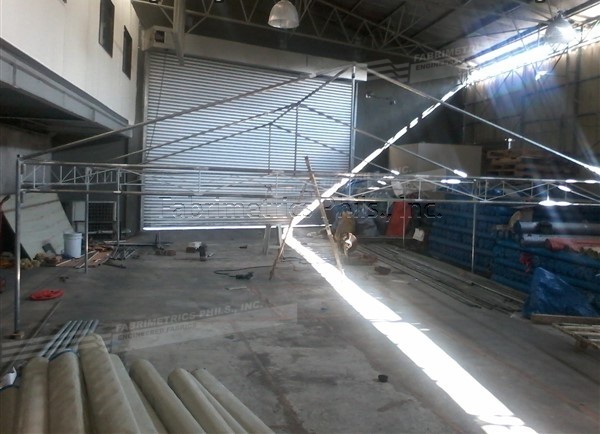 It is made of galvanized steel and is designed to be assembled easily by two or more people. 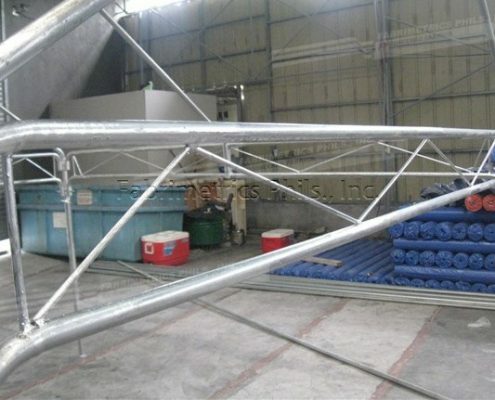 This is a semi-permanent structure, that can be used for seasonal applications. 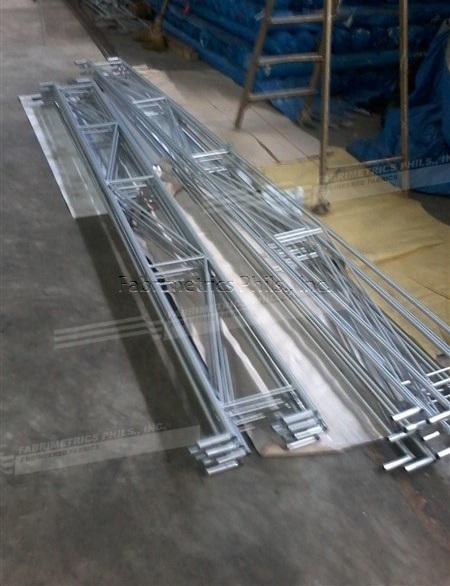 It has strengthened joints made of interlocking tubes with fastening bolts. 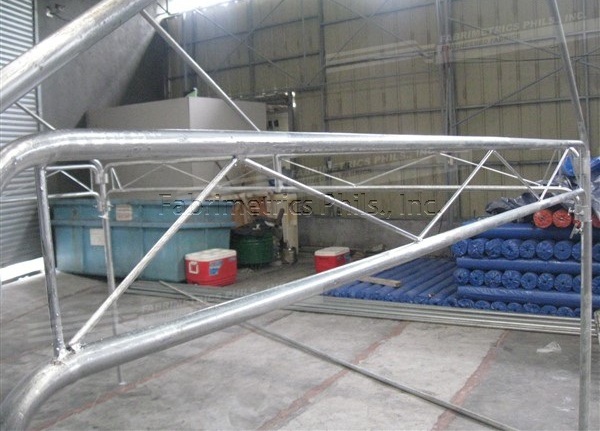 The height is also adjustable because of the tube-in-tube design than can be easily pulled up to the desired height. 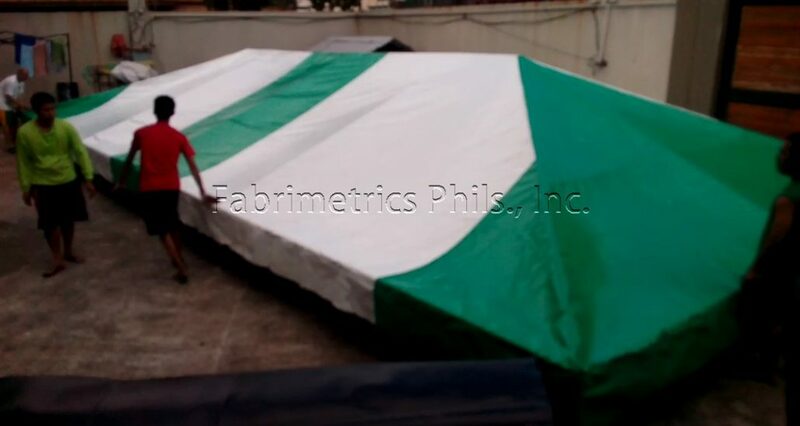 The material used for the cover is Heavy duty PVC. 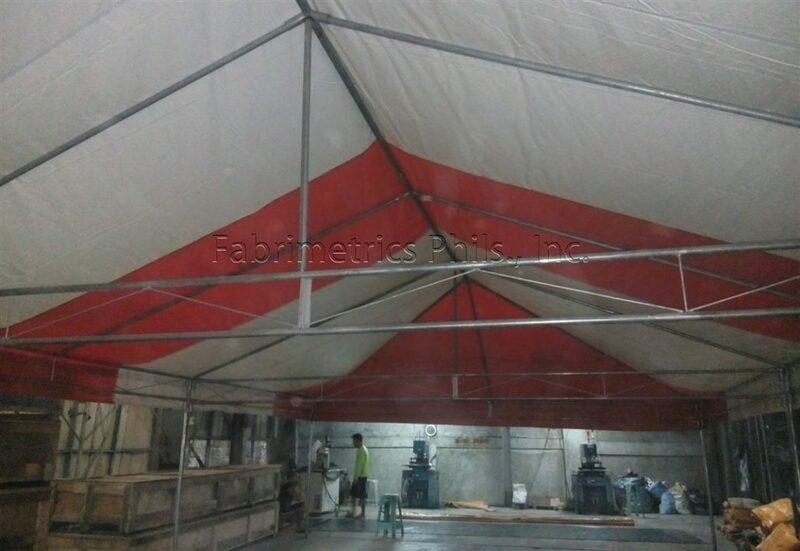 It is made of high strength nylon mesh, sandwiched in between two layers of Low density PVC (Polyvinyl chloride). 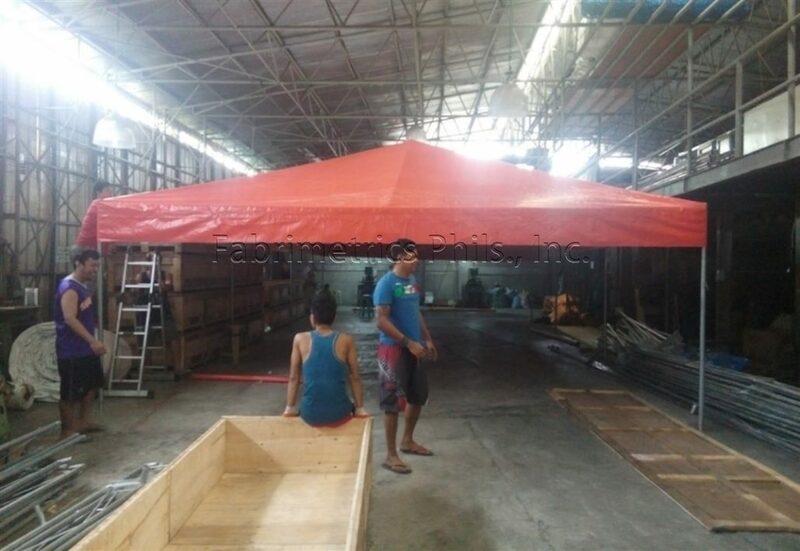 Our material is water proof and a good fire retardant. 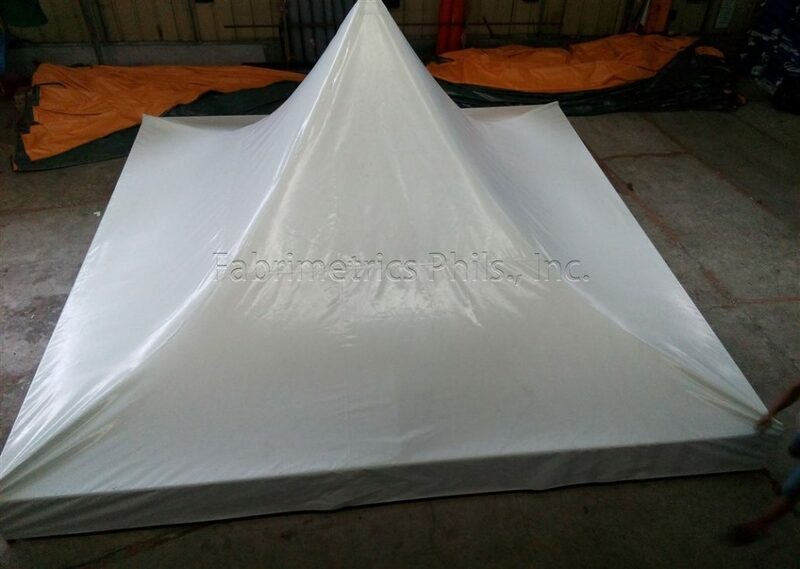 Our tent covers generally come in two thickness. 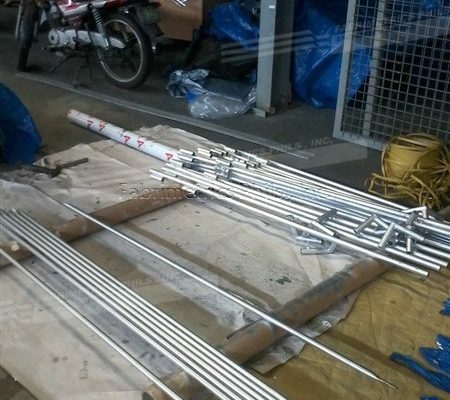 The thinner is called S400 and the thicker is S200. 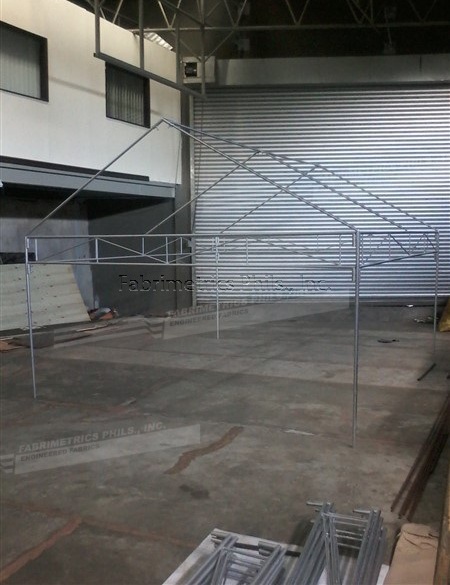 The difference is by weight per square meter of the material. 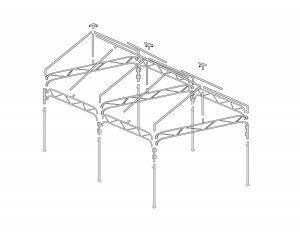 For applications that needs strength and durability we recommend using the heavier material S200. 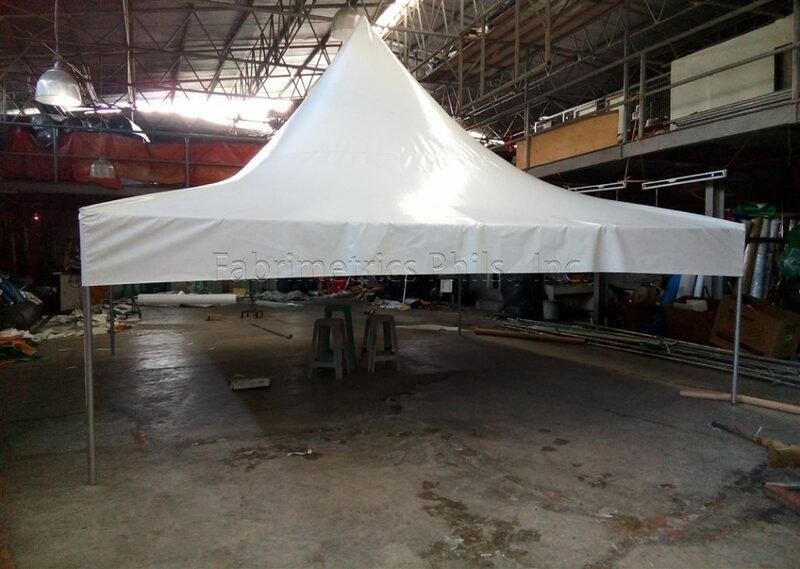 For applications where weight and portability are the priority we suggest using the lighter material S400. 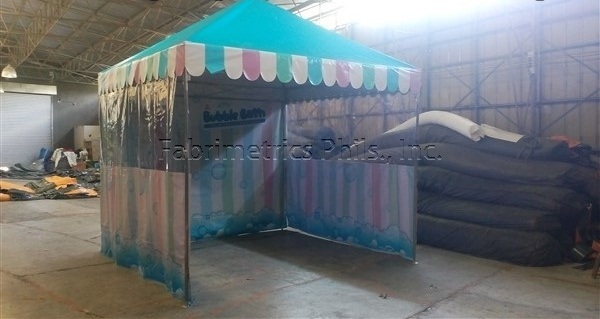 We have all major brands and colors available. 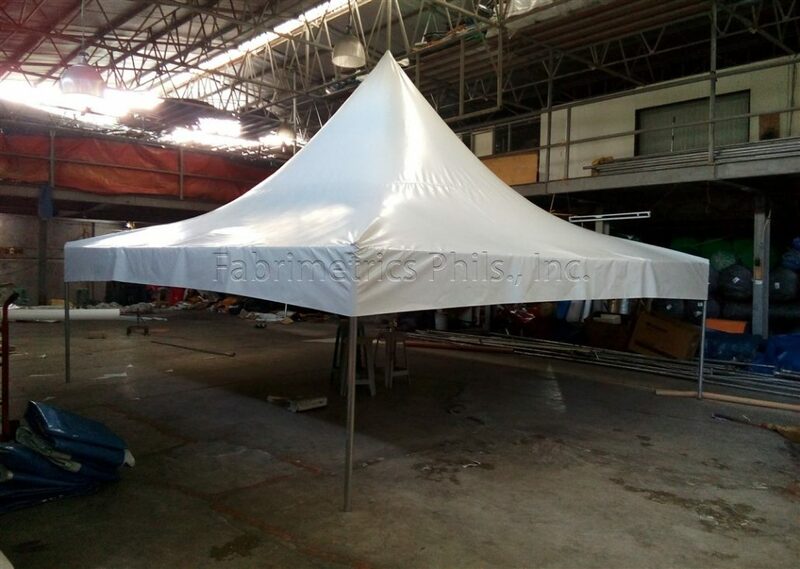 Please see our tent pictures across the page. 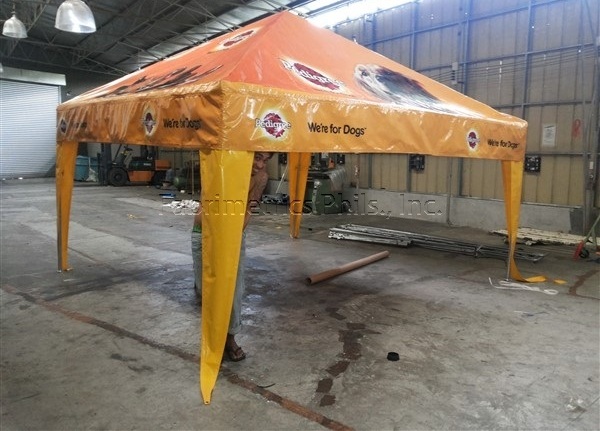 In most cases our customers want to use our collapsible tents for campaign, promotions, and advertising. 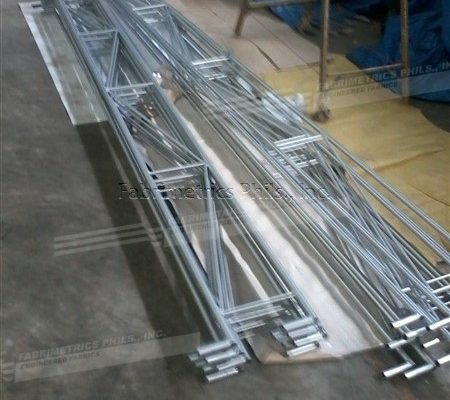 As such, the requirement are usually for short term or seasonal use. 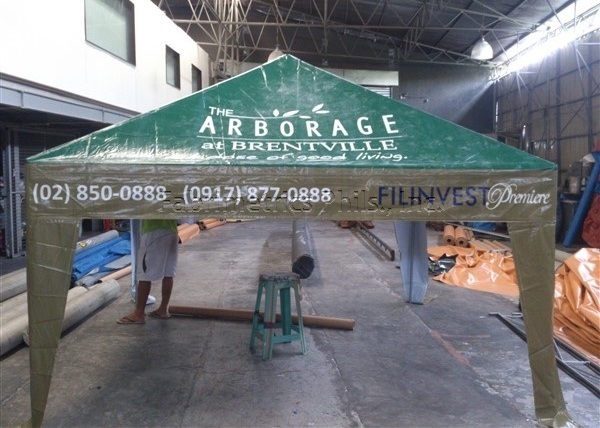 For this, we use print media as the cover the tent. 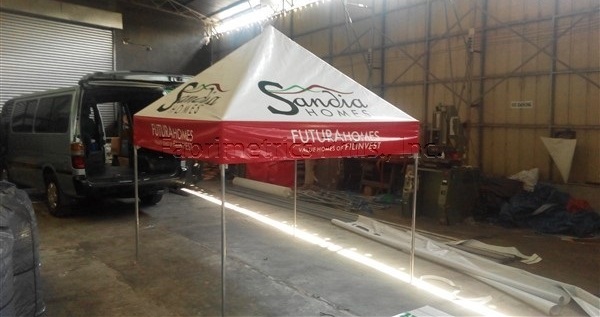 The printable media is available in 15 oz, 18 oz, and 20 oz. 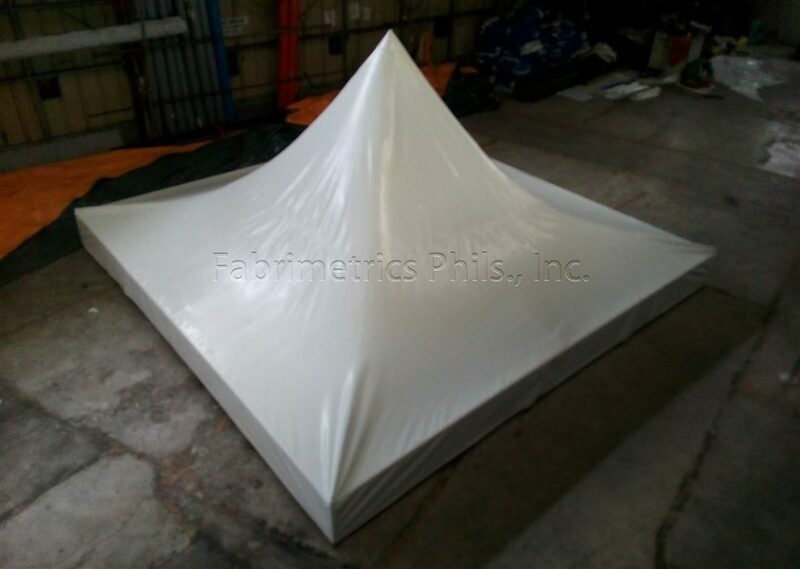 Although we can supply you with all types of print media, these are the weights that we recommend for tent covers. 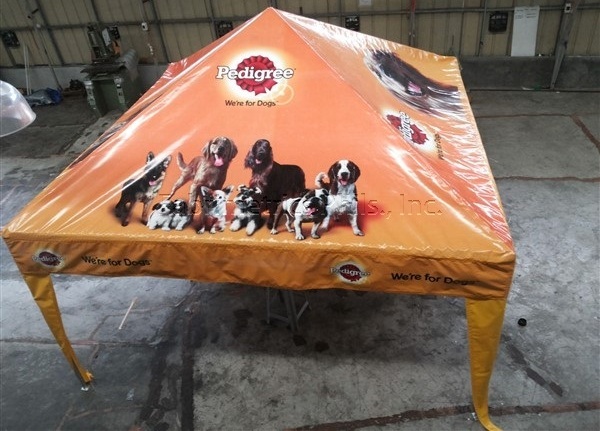 Our large format printer is capable of very high resolution photo quality printing. 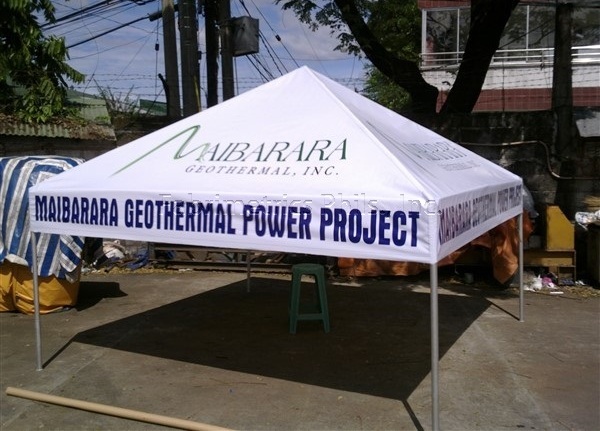 You supply us with your logo, photos, and design of the print and we can give you proofs before actual printing. 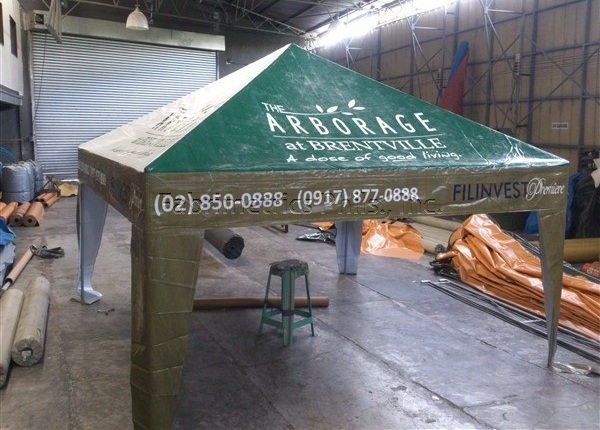 Although this tents are heavy duty, we advise to disassemble the tent and remove the cover, during typhoons and freak weather conditions. 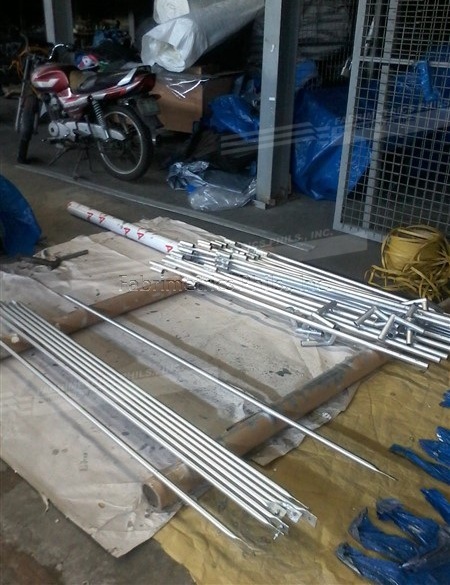 Even billboards are required to be disassembled during these times. 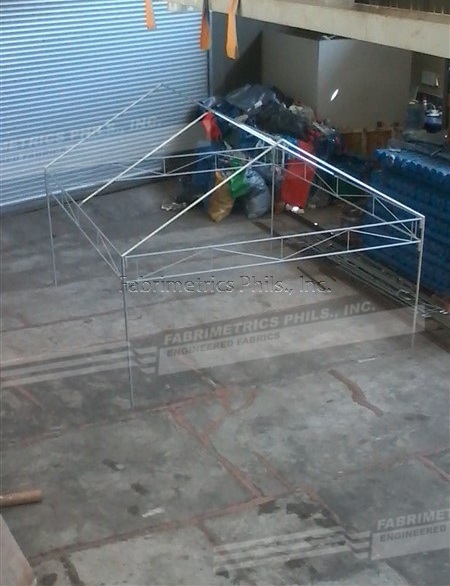 With proper handling, these collapsible tents can last for many years.